Lemon Haze is like a shining beacon of happiness. This lovely sativa brings on the happiness like it’s nobody’s business. This strain is not only easy to grow but also an absolute essential mix in any grower’s yard. The popularity of Lemon Haze is like no other and is well deserved. This superior citrus scented strain stems from the merging of two giants. Lemon Haze was created when Lemon Skunk was mixed with the infamous Silver Haze. It is distinct in that its presence in a room can remind you very strongly of a basket of fresh lemons. Lemon Haze represents sativas quite well. One of its greatest strengths is that it gives you added energy that is much like drinking a strong cup of coffee minus the uncomfortable nervousness that the caffeine may bring. This powerful sativa is nothing for the faint hearted. Due to its premium parentage, Lemon Haze has managed to climb to the top of the popularity ranks. Its smooth and invigorating tangy flavor makes for an extraordinary experience. And true to its style, Lemon Haze is the ultimate happy smoke, due to its pure and positive vibrations. This sativa has the ability to instill a sense of relaxation, without turning your brain to mush. Due to Lemon Haze’s happy-go-lucky nature, it is a social smoke that can be recommended to anyone. This strain is unbelievably uplifting, a trait that is accompanied by its very distinct lemony flavor, which adds to its popularity. If you are looking for a balanced high, where you can feel euphoric while still maintaining your cool, the Lemon Haze is the one for you. You will become quite chatty and social and want to communicate your inspired ideas with your surroundings. Lemon Haze ensures you a good time, and will provide you with the energy you might need for a long and busy night out socializing. It is fitting that this strain was named after a citrus fruit because you will be bowled away by how much it really does smell like a heap of lemons. The scent of Lemon Haze can be heavy-hitting, so be prepared to mask the intense earthy and citrus aroma that it will fill the room with. It would be hard to find a strain that was more fittingly named. Lemon Haze truly tastes like fresh lemon rinds, and is so well known as that, that you could easily name it after smoking it. This sweet tangy strain makes for a sensational aftertaste, and mixed with an array of other citrus fruits, this one is sure to become an instant favorite. Lemon Haze isn’t too heavy on the side effects either, mostly causing a little feeling of paranoia in very few cases. 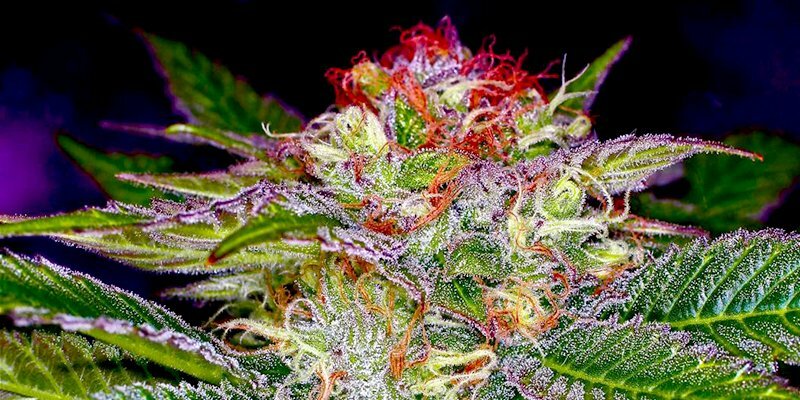 A sense of dizziness can be observed if someone went overboard with this strain. It is reliably potent and does not mess around. The main adverse effects that Lemon Haze has been known to produce is a feeling of dry mouth accompanied by a sense of dry eyes. In very rare cases this strain can also cause a little anxiety, but in comparison to other sativas, this one is pretty easy on the heaviness of those side effects. Lemon Haze is known among veteran smokers for being quite the heavy handed healer. It is often prescribed to those who are prone to stress and other, more serious mental health issues. In the fight against depression, Lemon Haze has proven to be quite effective. Many have reported on the easing of their pains whether acute or chronic, with the regular use of this strain. Muscle spasms and back pains are very successfully treated with this fresh strain. Headaches and migraines and also PMS are eased quite well with the help of this strain. This is due to its high CBD content as well as its above average THC levels, which can reach up to 25% at times. This sativa is more successfully grown when kept in warmer, sunnier climates. But part of Lemon Haze’s versatility is that it can equally thrive in indoor settings just as long as it is kept with a lot of light. This strain is highly resistant to common pests and molds, making it an easy plant for even novices to grow. Lemon Haze loves an indoor environment with a lot of light. This strain can produce up to 15 ounces per square meter. The flowering normally takes between an estimated 7-9 weeks, after which Lemon Haze will be ripe for plucking. This strain is suitable to be grown outdoors as long as the climate is in the sunny and dry settings. Lemon Haze is ready for harvest in the middle of October, and can yield an estimated 18 ounces per plant. Have you ever smoked or grown your own Lemon Haze? Please let me know what you think about this marijuana strain in the comments below. How tall do these plants grow? ?